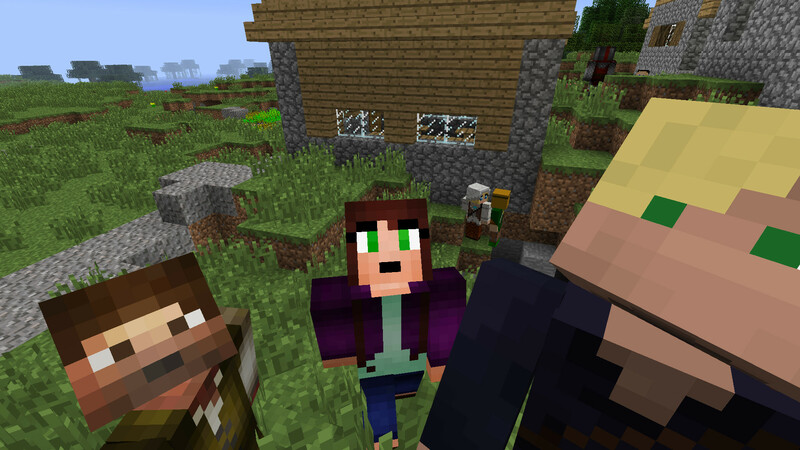 Minecraft Comes Alive does just that - it breathes new life into the game by completely changing the villagers. Villagers are no longer loud and obnoxious "caveman squidwards." MCA replaces them with male or female humans! Villagers can be interacted with. You can trade like normal, but you can also talk to them, tell them a joke, give them gifts, etc. Interactions build relationships, which eventually allows you to get married to the villager of your choosing. You may have children with the villager that you marry. Children can do chores such as farming, fishing, mining, woodcutting, and hunting. Over time, children will grow up into adults who can get married and have children of their own. You can also get married to and have children with other players via SMP and LAN!